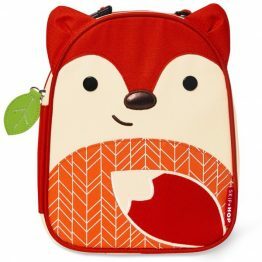 If you go into the woods today you’re in for a big surprise! 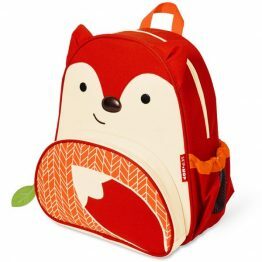 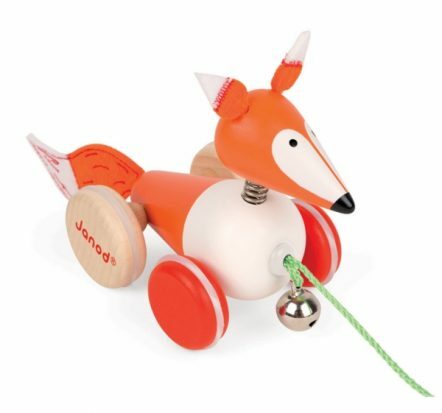 This cute Janod Pull Along Fox will be waiting to say hello. 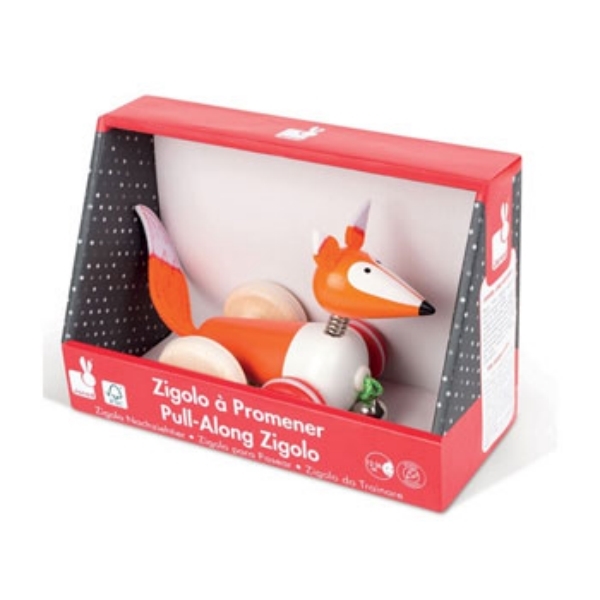 Crafted from FSC wood and water painted, he has detailed stitching on his soft felt ears and tail and his head bobbles as you pull him along. With rubber grippers on his wheels, he won’t be able to sneak up on you because his little bell will give him away. 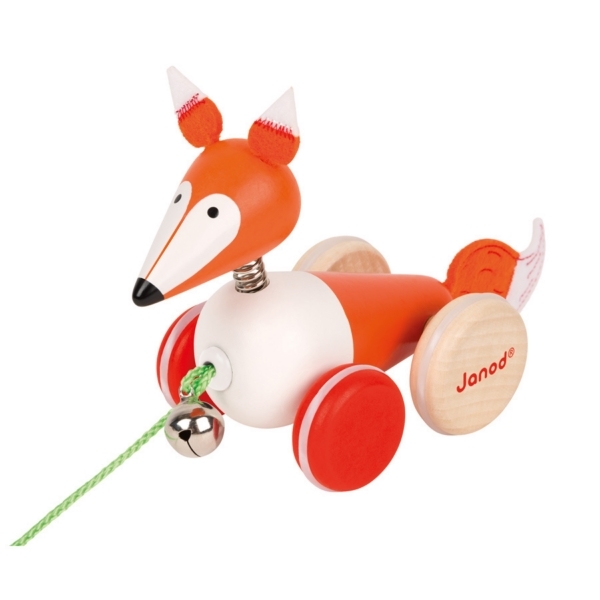 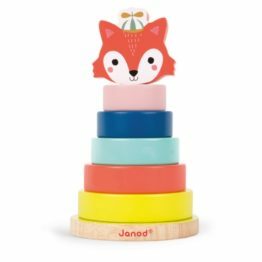 The Janod Pull Along Fox makes a perfect gift for any occasion!